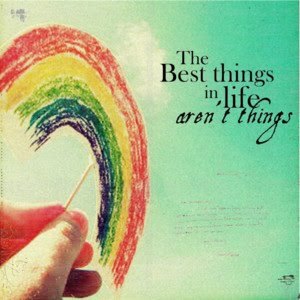 It's Pure Happiness: Best Things in Life !!! The 'best things in life aren't things' post is about appreciating non 'things' in life. Non material things. (And yes, I realise sometimes some of what I write could be classified as a 'thing' but its the idea that the best things aren't the material possessions). 1) Seeing snow dusted mountains off in the distance. Winter is cold and miserable, but snow covered mountains make for breathtaking scenery. 2) Hot chocolate made in a saucepan with milk and real melted chocolate. 3) A hot shower after you've come in from being in the rain. 5) The feel of your hands are giving them a good scrub with sugar scrub - so soft and fresh and new feeling.